Fan of Instapaper, the popular iOS read-it-later app that made its way to Android some time ago? Be sure to grab the newest update for the app as it introduces a refreshed design and all sorts of features that probably should have been there ages ago. We’re talking pull-to-refresh, video support, and tools for sorting/filtering/managing reading queues. 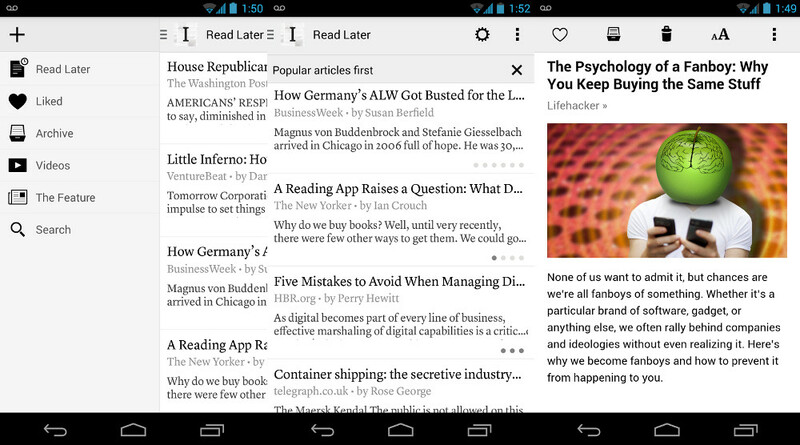 Oh, they also tossed in a new way to paginate your articles by swiping left or right between them. Is that a hamburger menu I see too?